i recently discovered this company called Lilly Brush that offers the solution to fuzzy, pill-y sweaters in need of a pick-me-up. interested because this brand is based out of Colorado (#shoutout to all my CO peeps) i decided to review the product. my pink cashmere sweater. i lurv it. having found it on clearance i'm not too invested in it because i didn't pay the equivalent of one months rent to buy it, however, i would be dissapointed if ruined. it was just starting to reach that point in pilling where sweaters go from handsome to homely. something had to be done. 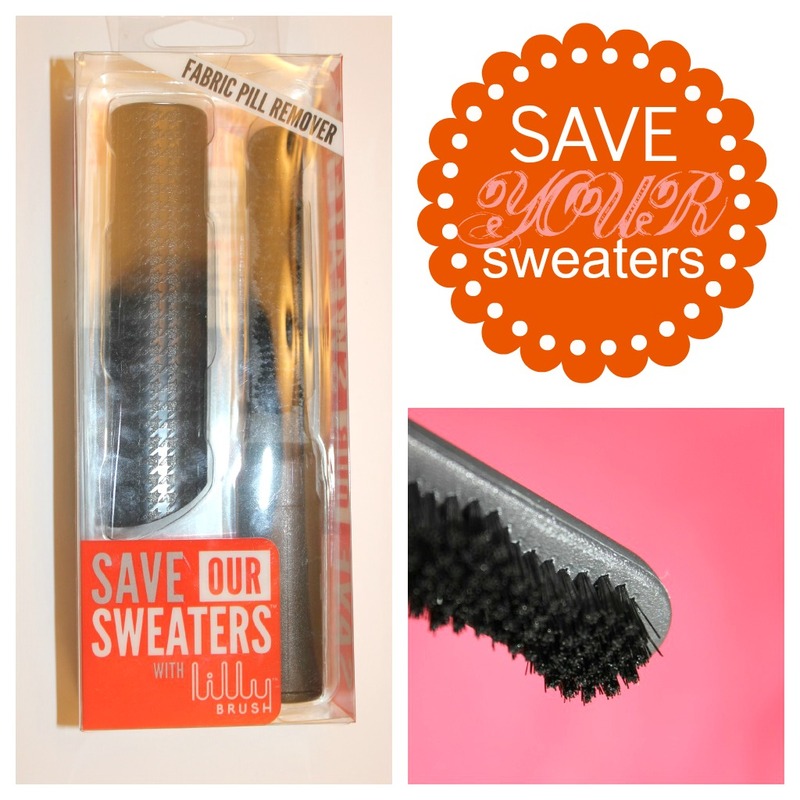 i test drove my Lilly brush on this sweater and results are below. i almost think the sweater looks even better now than it did when i bought it. perfect stocking stuffer for christmas or a worthwhile investment if your sweater collection needs some refreshing. Lilly Brush ftw! I have it and it's a lifesaver. I am just pulling out all my sweaters and my favorite cashmere one was looking so bad. I'm so happy that it's found a new life with this brush. Love the Lilly Brush! And I love your graphics - nicely done!